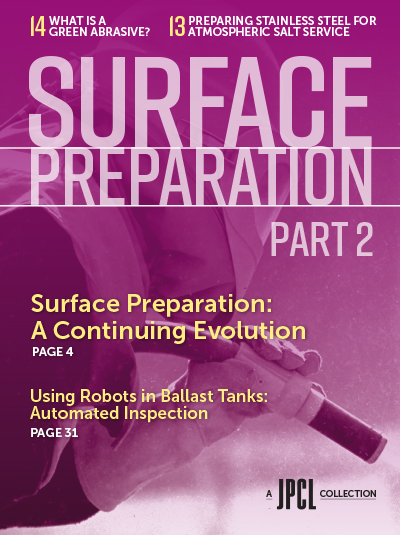 This JPCL Collection edition, printed in full color, includes seventeen articles, originally published in JPCL, by experts in surface preparation. What is a Green Abrasive? JPCL October 2012 - David Dorrow, Mineral Aggregates Inc.
JPCL September 2012 - Vaughn O’Dea, Tnemec Company, Inc.
How Does Waterjet Cleaning Affect the Surface and Surface Preparation?